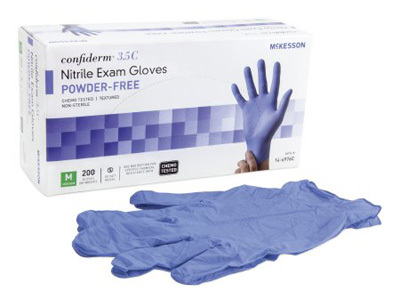 This is the medium size of the Confiderm 3.5C NonSterile Blue Powder Free Nitrile exam gloves by McKesson. These gloves are chemo tested and powder free! These are sold by the case which includes 10 boxes of 200 gloves each.